Getting the drum mix isn't always up to the sound crew; it starts at the source. It goes without saying that I consider drums to be the most important part of most current rock-oriented music. Starting out my career as a drummer, I pay a considerable amount of attention to the specific details of drums and cymbals and the individual technique of the drummer. Anyone who’s attended SeedsConf or SeedsU has no doubt heard us mention the importance we place on getting (and keeping) the drums under control. This serves as a precursor to what we hope to achieve with both our audio and musical product. Whether we’re talking about the particular style of the drummer, the actual acoustic volume of the drums in the room, or maybe a combination of both—figuring out how to get the drums to sound right can be a real challenge. We’ve discussed at length in previous blogs our opinion regarding particular drum and cymbal selections, sticks, mics, heads, and the like but here’s a few points that can apply to almost any drum situation. Even if it’s not time for you to upgrade and/or replace drums and cymbals right now, the following can be done at no cost. Aside from decent equipment, the biggest part of improving any drum situation is maintaining proper control. This applies to actually controlling the drum sounds in the room and the control of the drummer. 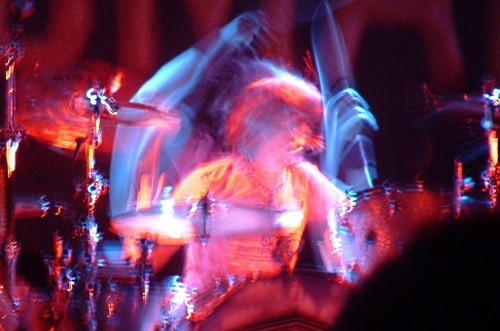 If your drums are so loud in the room that the audio mix is at the mercy of the drummer’s volume and style, you cannot hope to make things sound better. It’s quite frustrating to think that the hours of rehearsal and preparation for an event can be held hostage by a drummer playing too loudly. Getting control of the drums themselves can be fairly cut and dried as it’s only gear, but getting control of the drummer is a much bigger deal as it involves being critical of the artistry and technique of the individual musician. Every drummer must understand where they fit in the mix, both figuratively and literally. If they are unwilling to discuss realistic ways they can improve or change their playing to make the end result better, they may not be the right person for the job. I work hard to have some level of personal relationship with all of our drummers and it’s helped considerably to establish both rapport and trust. As an audio engineer, I also try to make sure they have some base knowledge of how the drum mics work in relationship to our audio systems, venues, and recordings.